Line the bottom of the mug with graham cracker crumbs. In a bowl, combine all other ingredients and mix until a batter forms. This recipe is for an 1800 watt microwave. Cook time may increase for microwave ovens with less wattage. 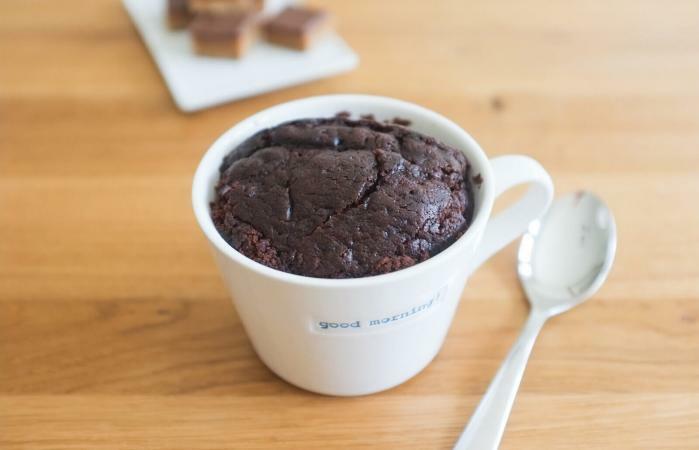 This recipe fits a small mug. For larger mugs, double the recipe. Note that doubling the recipe may impact cooking time. Experiment in "15 second bursts" to find the perfect time for your oven and brownie size.